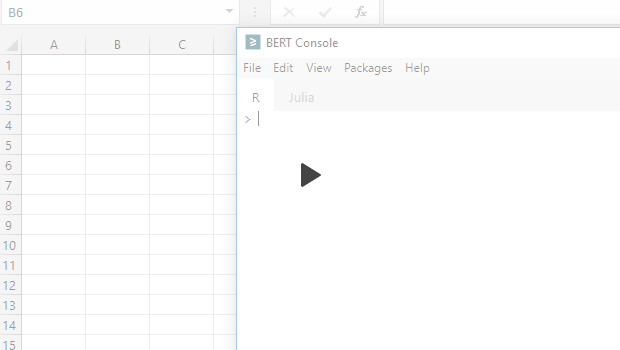 BERT is a tool for connecting Excel with the statistics language R. Specifically, it’s designed to support running R functions from Excel spreadsheet cells. In Excel terms, it’s for writing User-Defined Functions (UDFs) in R.
All you have to do is write the function. Everything else – loading the function into Excel, managing parameters, and handling type conversion – is done automatically for you. It really could not be any easier. BERT also has a console that you can use to control Excel in real time, right from your R code. And (if you want), you can call R functions from VBA as well. Write a function in R, then call it from your Excel spreadsheets. BERT turns R functions into Excel functions automatically. 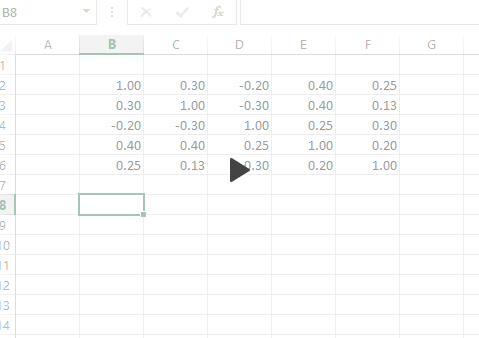 Not only is this the easiest way to write new Excel functions, it lets you use all the power of R in your spreadsheets. Interact with a spreadsheet in real time using R. Turn Excel into a data store, input system, and report generator for your R code. If you need to write complex algorithms or do statistical analysis in Excel (or support users who do), BERT is for you. It is possible to write math in VBA – possible – but it’s not easy. BERT makes using R completely transparent in Excel, so you can write complex functions in a real stats language and then plug them directly into Excel. Plus you have access to the entire library of R code and packages already written, tested, and validated by the great community of R users. Even if you don’t write your own code, you can get access to a massive library of helpful functions just by wrapping built-in R functions for things like statistical tests, modeling, classification, and on and on. For experienced R users, just a heads up: BERT uses its own self-contained environment, and won’t have any effect on (or screw up) your existing R setup. BERT is licensed under the GPL v3. If your organization can’t use GPL software, contact us for additional license options. Visit the download page to get an installer, or see the GitHub repository to browse the source code.